For over 120 years across the northeast our church has been “sounding forth the trumpet that shall never call retreat!” As more than a century has passed since the inception of The Pilgrim Holiness Church of NY Inc. we are thrilled to report that “His truth is still marching on! 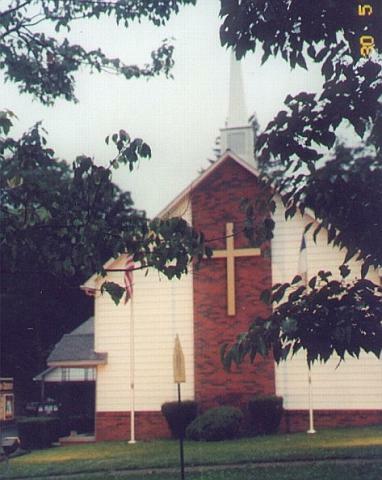 !” From giving birth within the empire state on New York’s most southern tier at the turn of the twentieth century, till the present day; The Pilgrim Holiness Church of NY Inc, under the banner of “Holiness unto the Lord” continues to share the glorious gospel of our Lord Jesus Christ. As Christians, the Bible tells us we are “...strangers and pilgrims…” in this world (I Peter 2:11); hence, our name Pilgrim. This world is only a temporary dwelling place for us. We are pressing toward our permanent heavenly home and we want to take as many with us as possible! Presently our group of churches number thirty-eight. The Halls of Holiness extend throughout our Conference of Churches from as far north as Ontario, Canada; south to Archdale, North Carolina, westward to Fostoria, Ohio, and as far east as Haverhill, MA; just minutes from the Atlantic ocean. The Pilgrim Holiness Church Mission influence reaches north into Winnipeg, Manitoba, Canada; south into the country of Haiti and travels even farther south to Brazil, South America. Our mission is to make disciples fulfilling The Great Commission (Matthew 28:19-20) that Jesus charged His disciples with before He ascended back to be with His heavenly Father. Time has a way of forcing change into our lives. Much of it is inevitable and very positive and we would have it no other way. At other times our heart cringes as the moral fabric of our society is unraveling at increasingly historic proportions. As knowledge multiplies and Technology increases at an incredibly rapid rate there is no telling where we could be in the next decade if our Lord tarries. Though time is changing so much in our society so quickly, it is imperative to remember that God never changes! He is the same yesterday, Today, and forever! God’s Word never changes! It’s principles are ever alive and applicable to life in the 21st century! The Bible today still has the answers for man’s unanswered questions. In these days of chaos and uncertainty in the political realm as well as the economic landscape it is comforting to know that we have someone whom “…we can turn to who can help us face another day…” “JESUS! The name that charms our fears. The name that bids our sorrows cease. Tis’ music in the sinner’s ears. Tis’ life and health and peace.” JESUS! The name which is above every name!!! Welcome to our website! Feel free to peruse its pages. Our hope and prayer is that you will find within our churches the answers to life’s hard questions. We would love for you to be our guest in one of our churches this Sunday. Our aim is to be a blessing to you as you face life’s difficult challenges. From Missions which may cause us to travel across the seas to Youth Work in our own backyard the Pilgrims are here to minister and serve you. If you need help and assistance in your spiritual journey then please do not hesitate to contact us. You may email us at johnpeabody776@gmail.com. Rev. John A. Peabody Jr.
Subscriptions are $8.00 per year in the US and $11.00 (US) for foreign subscribers. (c) 2005 Pilgrim Holiness Church of NY, Inc.